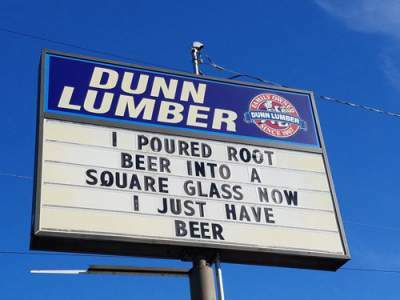 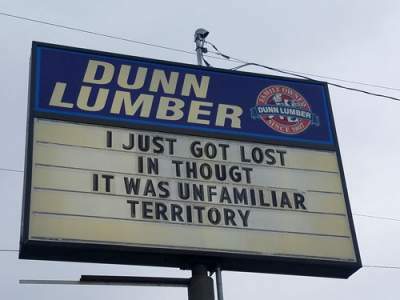 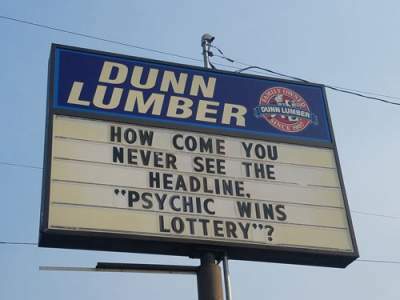 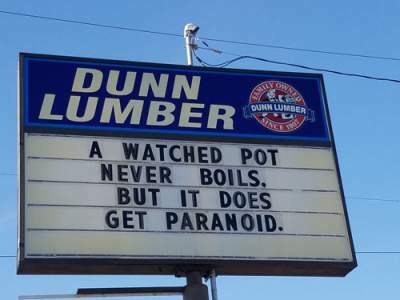 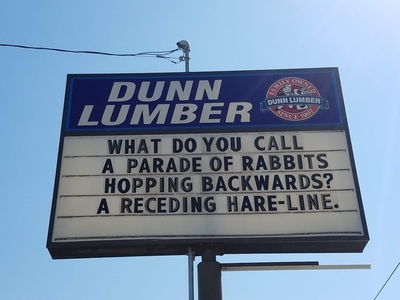 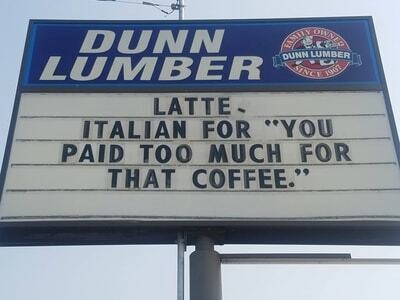 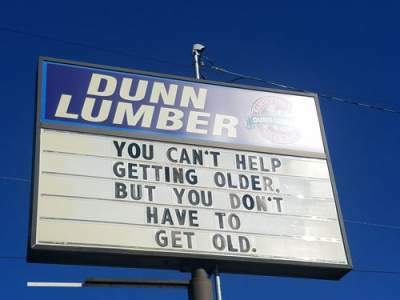 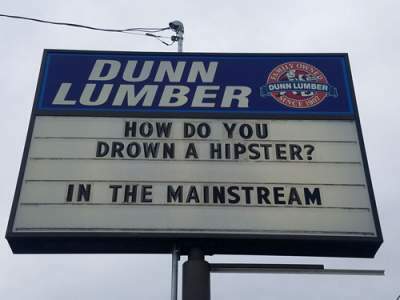 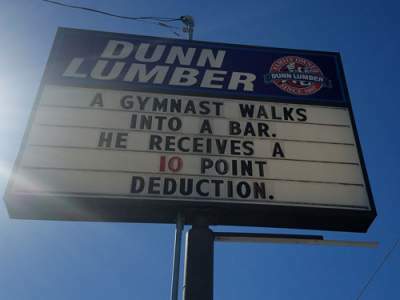 Dunn Lumber on Aurora in Seattle has really clever signs. 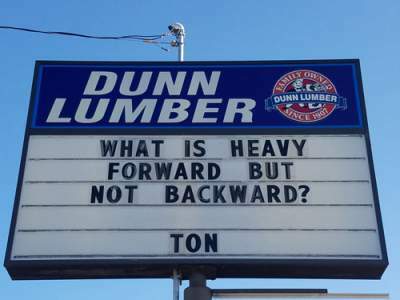 Not just funny but often thought provoking. 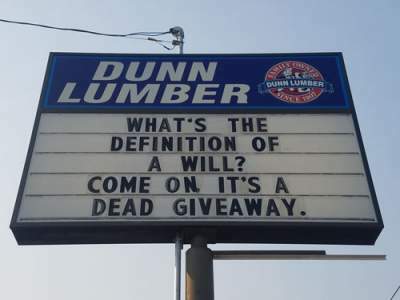 Either way I drive by there all the time and often stop to take photos of the ones I like.